What locals once called the "Secret Trails" isn't so secret anymore. The USFS has adopted many of them into what is now called "Soldier Wash Trails." You may not see them yet on the local maps -- they are newly adopted - but the signage on the ground at trail junctions is great (see photos). 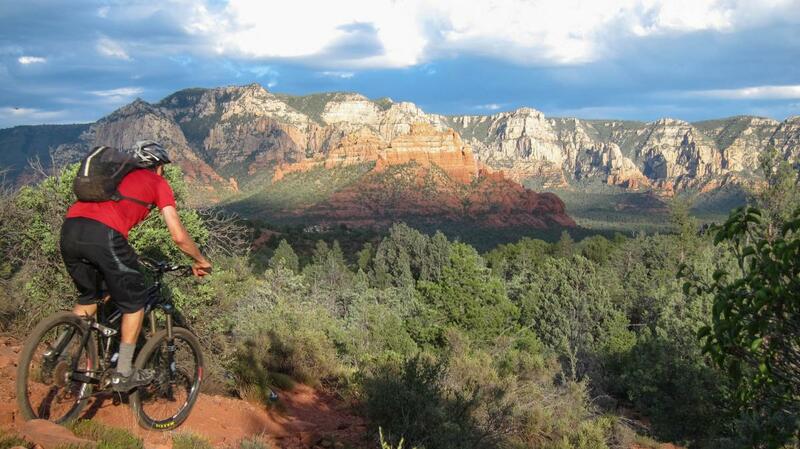 Some of the original "secret trails" are blocked off, but what is there should be considered a must ride when in Sedona. These were originally renegade trails developed by local mountain bikers. They flow like a good mountain bike trail should. The accompanying TOPO map describes an 11-mile loop that includes the Soldier Pass Trail with the Soldier Wash trails. Review: Fun trails with some challenging, punchy climbs and descents. Not overly technical but there are enough tough lines to keep you honest. Network allows many different combinations of loops. 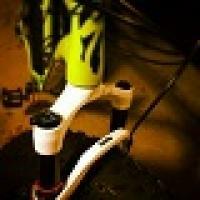 Review: These aren't the first trails I'd hit in Sedona, but they're worth a stop if you've hit others or are riding any of the north of town network. Review: The Secret Trails aren't so secret anymore. They have been adopted by the USFS and a now named and signed and are part of the "Soldier Wash Trails" network. See updated details of these trails under "Soldier Wash Trails." Review: This a very fun network of trails right in the heart of Sedona that were clearly designed by mountain bikers for mountain bikers. Great flow. Review: The trails were pretty neat to venture out on. The only issue I had was getting lost. Ended way beyond the actual trail and had to hit up a hiking trail to get back. Sure it was fun, but you do need good eyes and a good sense of direction if you do get lost. Review: This is a fun, easy place to add distance and variety to your North Sedona ride. I'ts not worth doing as your only Sedona ride partly because the classic routes are better, but also because there is no real guide to this place and without a local to guide you or enough time to explore, you'll probably miss the best of the Secret Trails anyway. Similar Trail: Combine this with Jordan, Teacup and Jim Thompson for a big ride covering all the main routes right north of town. Soldier Wash Trails MTB Trail 4.33 out of 5 based on 6 ratings. 6 user reviews.